I have added very neutral colours for your guide. chart is painted with the actual paints so you have the real colour! Read herefor more information! Don’t you love the simple brown can package? :) If you fell in love with this paint like me and want to buy it, Reborn exclusively gave my lovely readers 10% discount! Type; annalysik on your check out ! 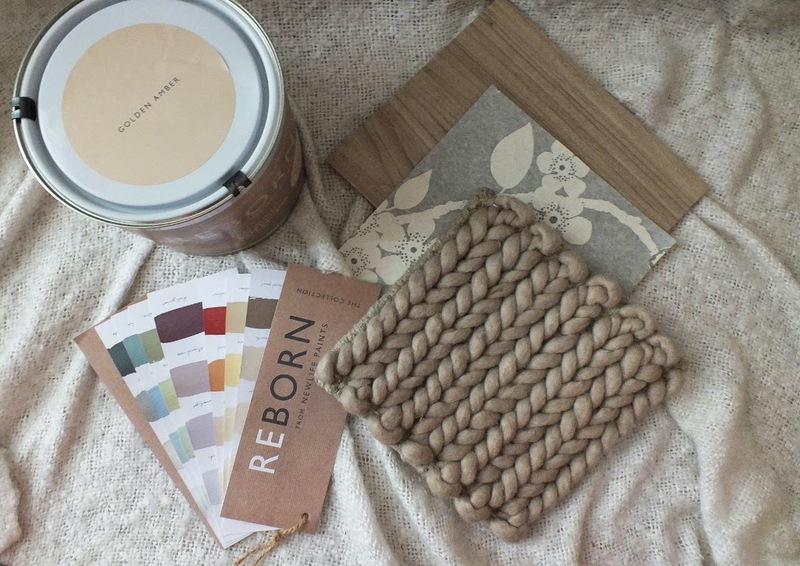 So, once I have introduced Reborn Paints to you, now let’s jump into my girl’s guide on how to paint your room by yourself! 1. Area of paint and assessing your walls. 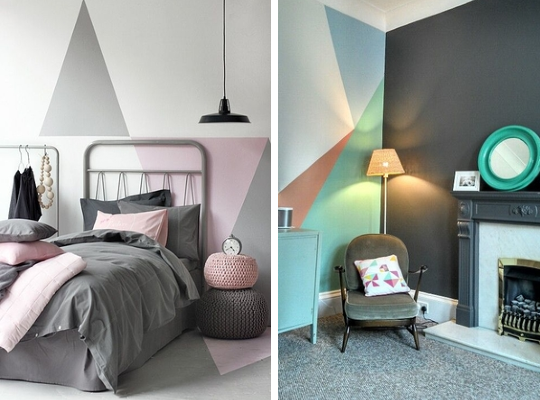 Have a good look at your room/flat before you decide what area you want to paint. Move all the furniture away to have a proper look at the wall, don’t just estimate’ ’it’s fine’’ as you may be surprised what have happened there over years! Decide, whether you want to just refresh the existing colour, add touch of new or absolutely change the colour. Check exactly the area for any cracks or stains. If you going to paint over wallpaper, check if is not ripped or start peeling off etc. Also, it is difficult to paint over textured or glossy wallpaper so consider removing it before as well. If you going to remove existing wallpaper I recommend you do it before the preparation process, as often an old wallpaper may remove bits of cracked plaster underneath. Consider buying lining paper if your walls are in very bad condition, but even this will give you nice and smooth finish, it also require extra work. Once you assessed your walls, you probably have found all the cracks and small holes. You have to buy fine filler and fill all the areas that need it. Give it a good sand to smooth it. Once everything is dry, give it a good wipe with a damp cloth. It removes all dust and grease leaving the wall all ready to go! Also you need to buy a primer if you are painting over a dark colour, you have large stains or just painting over new drywall. Using primer will save you from blisters, stains coming through and also this way you will only need one cover! You don’t need to be a math specialist to do that. These days online shops offer easy to use calculators and also read the description of the paint as it often says how many square metres the pot can cover. For example Reborn 2.5l can cover 30m2. If you are buying the paint in shop measure the walls before and ask the shop assistant of the can coverage or read the can description. 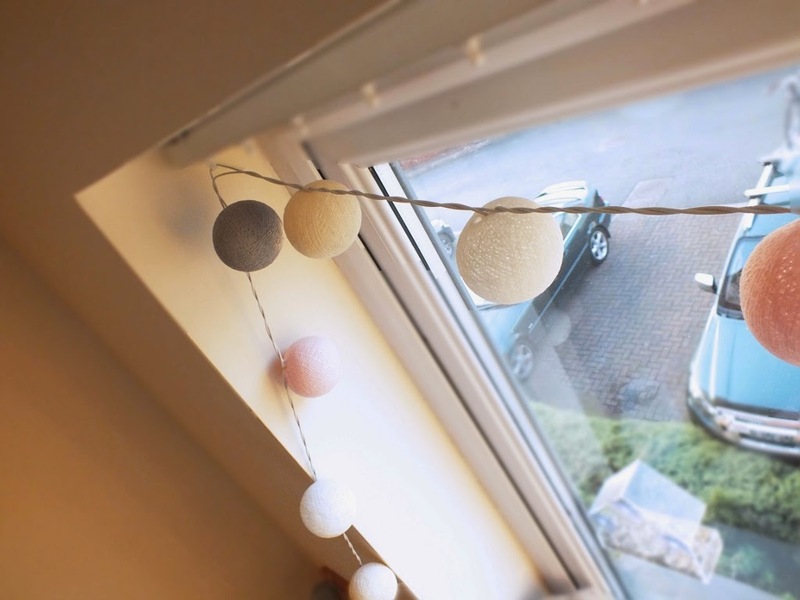 If you have any windows or doors measure them in same way as above then subtract them. Let’s say I have window 1 x 1 so I minus that and I have total area of 6m2 etc. 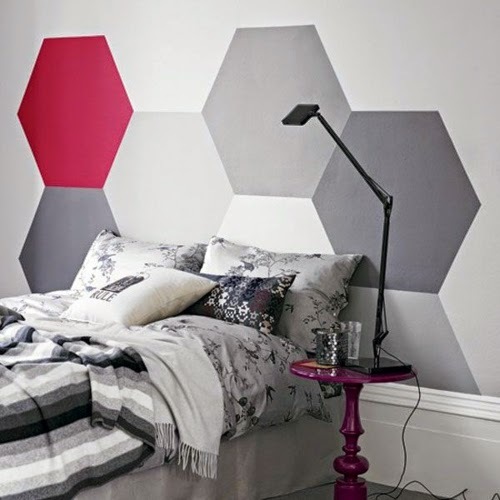 If you want to paint a little more creatively including 2 colours just draw on the wall and measure the area. Remember to always add 10% on top for waste. You can spill by accident, or use more in area than required etc. so save yourself time and order little more. Also having extra left is always a bonus for quick retouches or if you want to keep it for any DIY projects! You can also check this page link. 4. Choosing the right colour. It is very easy to get this part wrong. As mentioned before, these days companies use digital colour charts that may totally confuse you and give you wrong impressions. 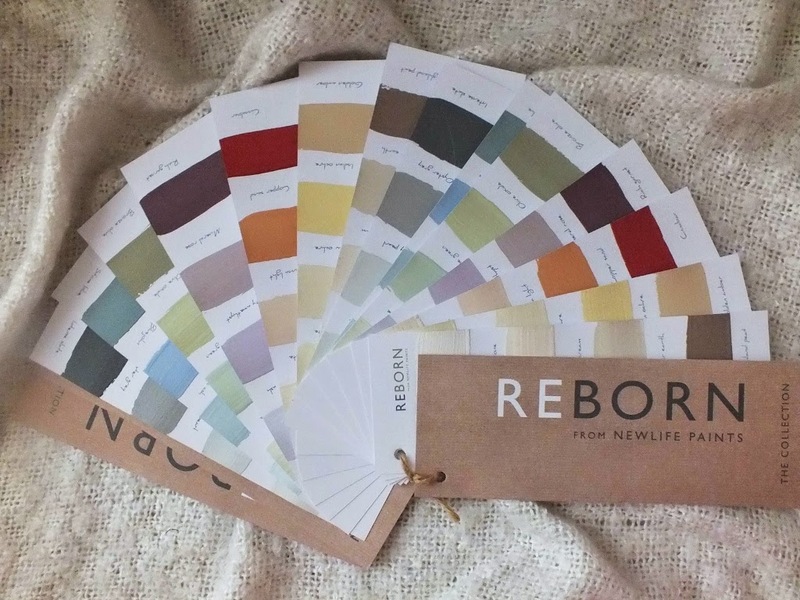 Again, that’s why I love Reborn for their real paint colour charts. 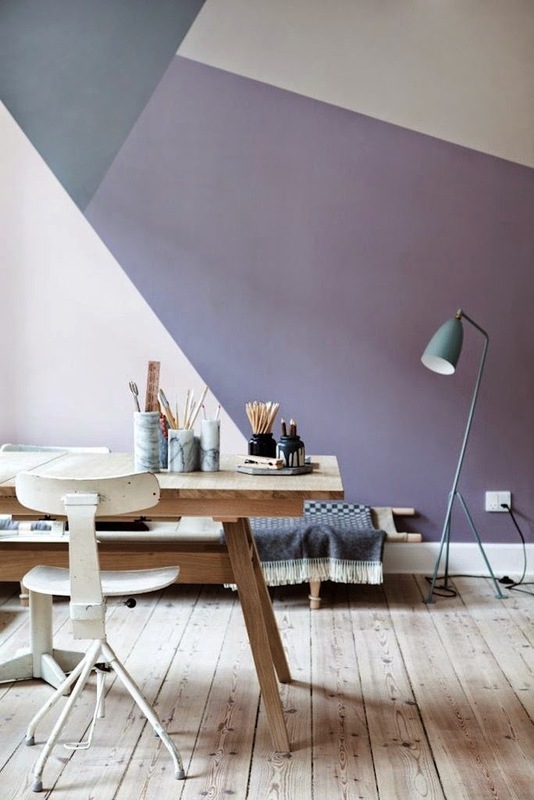 Paints always looks different in a different part of the room depending of the natural or artificial lights. It is good to order sample pots first! Try to order few different shades. Paint over piece of paper and place against your wall. Also you can gather together pieces that will make your room. 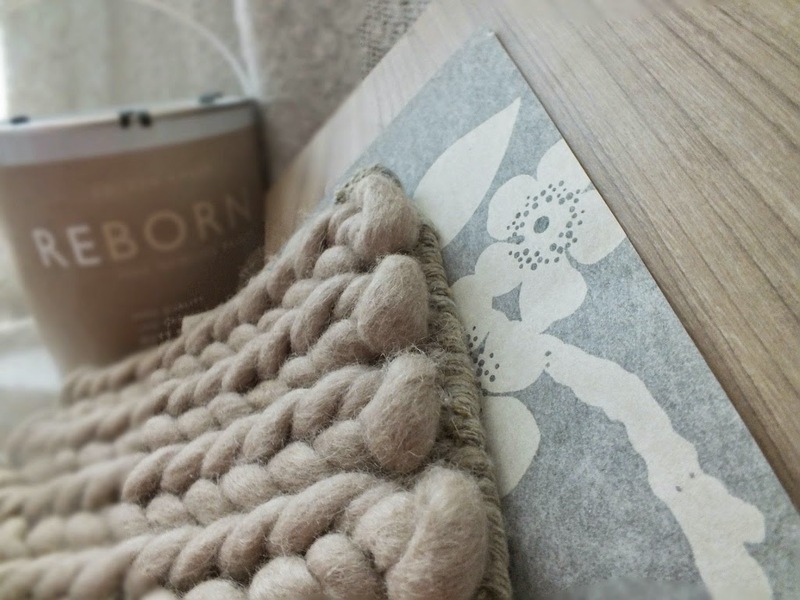 Take sample of wallpaper, candle or picture frame etc. Put all the items together on the sample you painted and determine whether these go nicely together and the colours don’t crash! 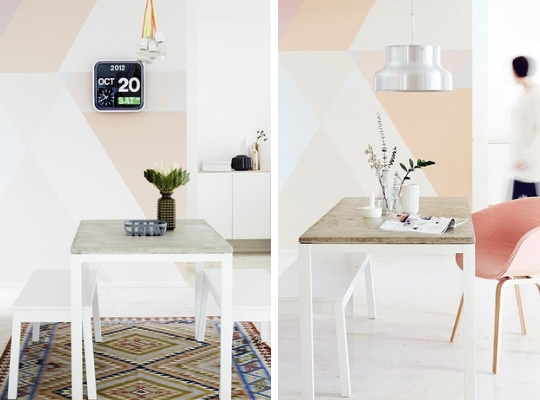 It is very easy to fall in love with that ‘’mint’’ or ‘’pastel purple’’ that don’t go with your existing furniture! So, be careful! Don’t be scared of using two or more colours. 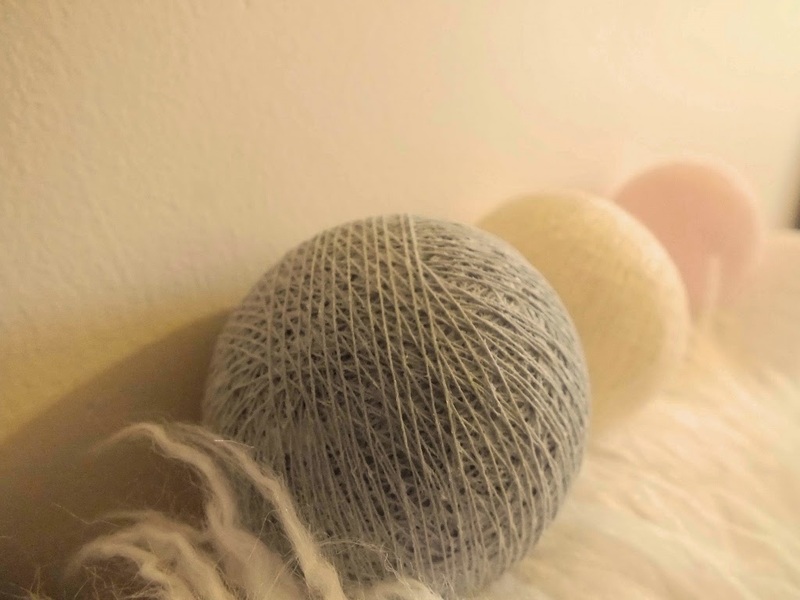 Check Dana Rymson Synder Pinterest board for colours that work well together inspiration. Below, few stunning inspirations of using two or more colours. This is also very crucial part. Once you have determined of what you wanted to achieve, then you need to do a shopping list. 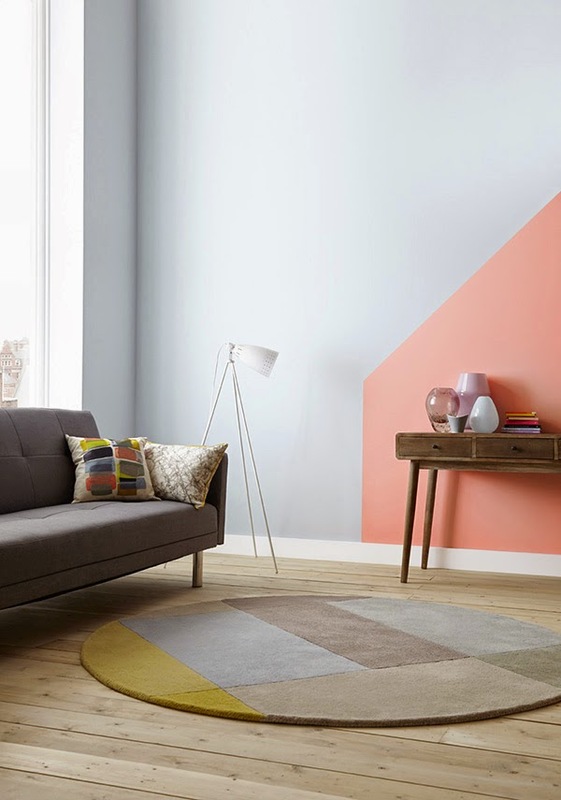 If you want to go for simple one colour wall probably you can just buy good paint brush or rollers. When choosing a brush don’t try to save by buying the cheapest, it is better to invest in good quality one. When it comes to rollers, these come in various sizes as well. Rollers are probably better for larger areas and ceilings. Also, rollers may spat and drip some paints so be careful and don’t buy too big one. Again, don’t try to buy the cheapest as you will end up with blisters. If you have very rough surface try to go for longer roller nap. For water based paint or the one with latex chose synthetic brushes and rollers and for an oil-based and alkyd ones is better if you go for natural brushes. To save money on buying multiple brushes you can cut corner on existing one to create sharp edge to cover your corners! Masking tape is a must if you want to create patterns or two tones etc. Also is good to cover the lines of window, ceiling or door etc. Sandpaper is great to sand down imperfections and smooth the walls down but also if you have any wholes (next chapter) . You will also need paint scraper if you have an old wallpaper or paint. Also, if you are clumsy like me you may get handy a baby oil or tea tree oil! You can mix vegetable oil with salt or sugar to create natural peeling. Just don’t rub to harsh! These works for oil-based paints, for water based simply wash your hands with warm water and soap, try to leave it few minutes before wash it off. Don’t use chemical like paint dissolvent as this will damage your skin, if some of the paint covered on your hair again use oils and gently rub off. All dissolvent will not only damage but also will remove colour and thin your hair! Scary! You will also need to protect yourself and the furniture/floors etc. It is better to use an old cotton sheet rather plastic that can be danger when you drop a paint and slip! You don’t want to end up like me with my broken wrist! 😉 Cotton can absorb paint and is easier to cover corners etc. Also, is more eco ! Don’t forget to get a hat/scarf and googles to protect your eyes and hair! Eeek! So, you here now! All ready to paint! Firstly, open all windows! It will not only help the paint dry faster but also the chemicals in paints can be harmful (Not if you use Reborn! )You can also run a fan. If the weather as always in Manchester for example is rather damp then better to close the window and use air unhumidifier. When dipping a paint brush don’t cover the whole brush, do it only the third or halfway though and wipe off the excess. It will make easier to clean it off and remove any excess. Paint starting from top to bottom as then you can correct any drips and do the large areas first leaving the corners and edges as last. If painting window frames follow the grain direction for best result. If you are using a roller, is better to go for paint grid rather using a tray. You can use a plastic screen with holes and attached to large bucket. This way is faster, neater and easier to get rid of excess paint! Also, get a wooden stick and occasionally give a stir to avoid drying. You can also cover another stick with some fabric and wipe off the rim so you won’t have problem to close the lid. If you need a break overnight, simply cover the brush or roller with foil and store in fridge to keep it fresh. Next day, just remove 1h before needed. You can throw away the rollers but if you bought expensive brushes don’t throw them away. Soak them in water or dissolvent for few hours then wash it off and properly wrap in foil! Once the can rim is cleaned you can close the turn it upside down to get a proper seal. Oh and don’t forget to keep it in place where water-based paint won’t freeze! Typical problems while painting also have easy solutions. Blisters usually happen when you paint over an existing and textured paint without sanding with an excess paint. Remember to clean and remove previous paint. If your paint dried leaving blister simply cut them with knife and sand them down painting over again. Brushmarks happen if you use poor quality paints or use to thin coat. Try to paint slow and as explained above from top to bottom to avoid the marks. Any other like pimples, wrinkles or fleaks are results of poorly or non prep of the wall. Make sure you do everything as explained above in nr.5 to avoid all these! Now! Let’s check my room!The colour is much darker is just my camera wouldn’t get the exact colour ..meh! yourself!Don’t forget to use 10% discount! Type; annalysik on your check out if you want to order Eco paint! 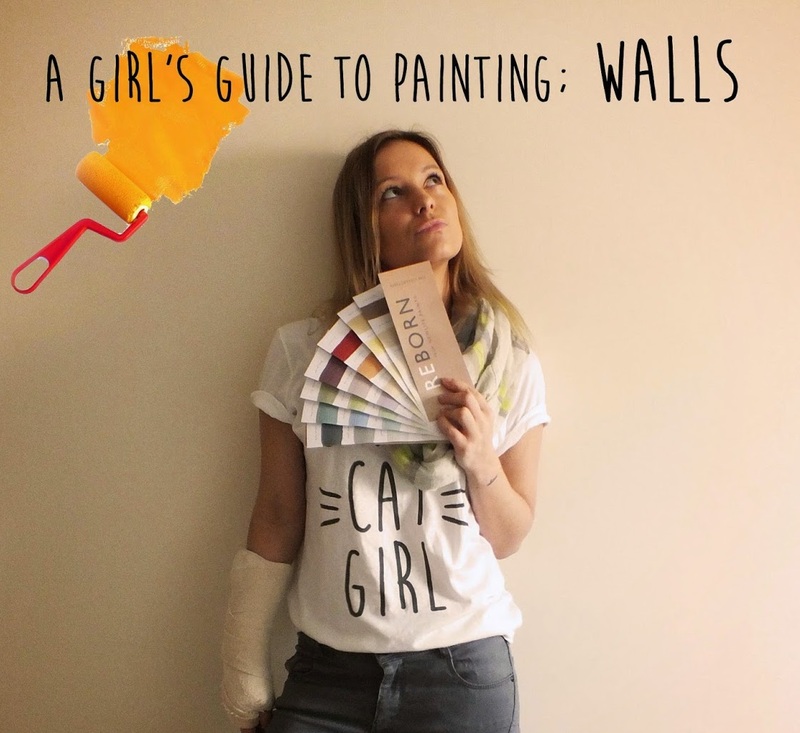 why is this a 'girls' guide to painting? why not just a guide? 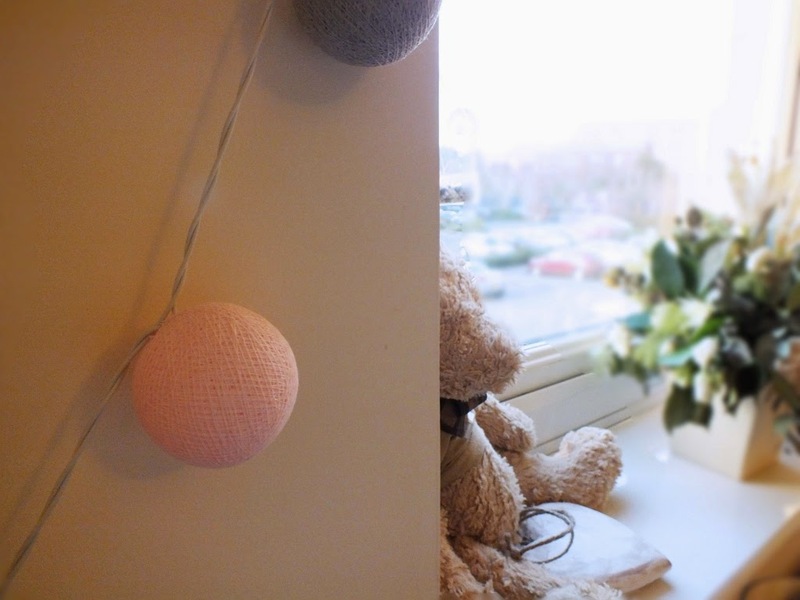 Where did you get your garland/pastel globe fairy lights? I need it!!! Super handy guide! My room needs a do-over! Oh man painting is really so much easier if you have the right tools! I have never done any fun patterns but it's really cool! I'm gonna attempt to solo-paint next month! I have tried to paint my room before and completely failed! 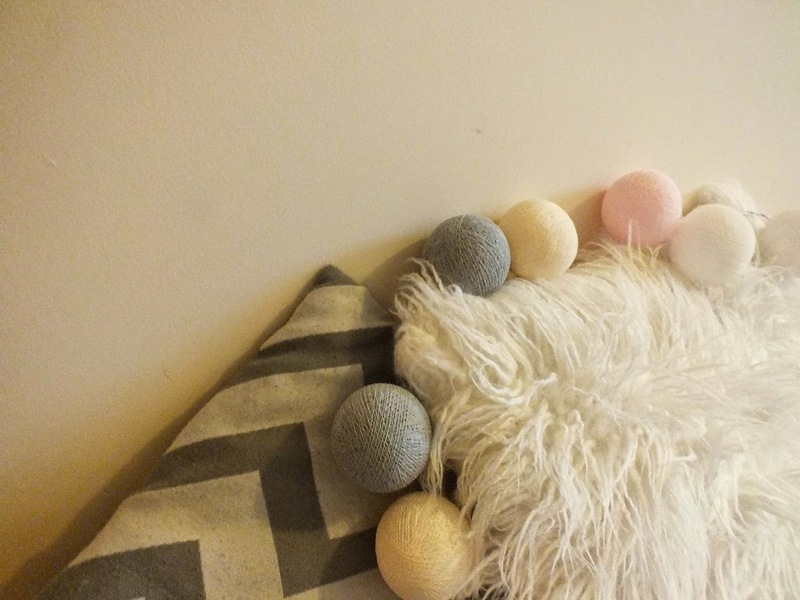 I love the colour theme you have going on in your room and I also love the examples you have given too! Great tips! Thank you so much. 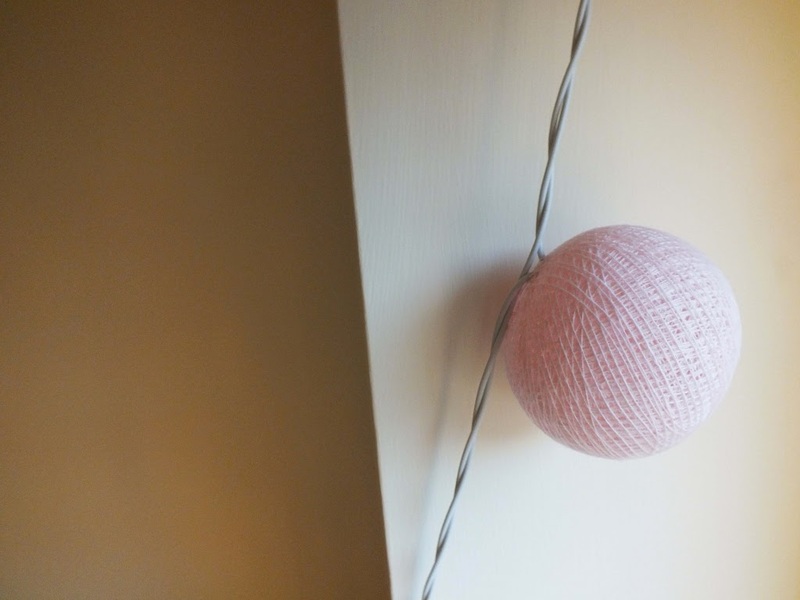 I love the cable and cotton lightings in your room! I have some in my bedroom and their gorgeous. Thank you for all of these tips! I need to save this for future reference, when I finally get into an apartment where I can paint an accent wall. I love painting until I'm half way through and then I always want to give up haha. Your "Love" sign is so cute. Can you believe that I never had to paint. I will have to come back to this when I have to! Your pictures are so pretty! I have a horrible time picking out colors of paint…I can never decide!! I'm needing to get a lot of painting done in my house! Thanks for the tips. I checked out Reborn's website and was happy to see it's low VOC! Thanks for the great tips! this will come in handy when we paint me sons bedroom this summer! 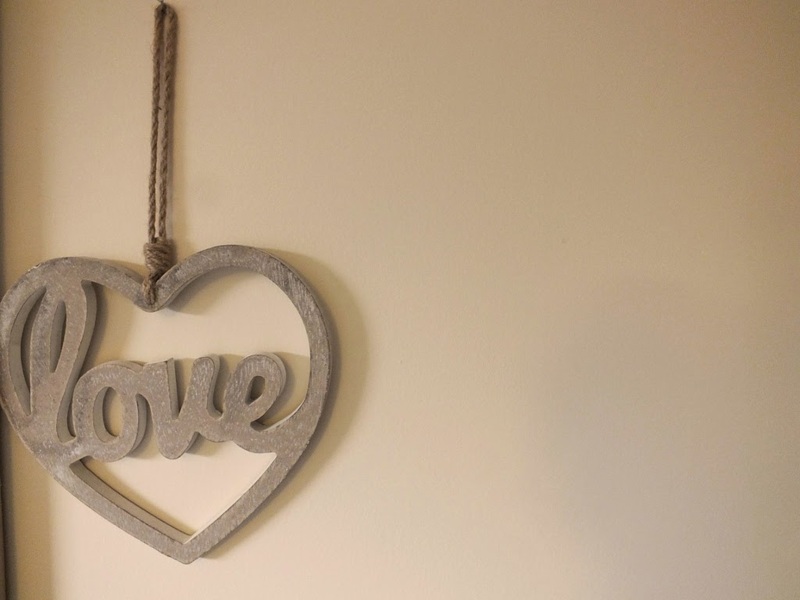 I love painting–it's a nice way to change the look of the room. In my last place, I painted 4 rooms, and it was a fun project–I cranked up the radio to accomplish it!